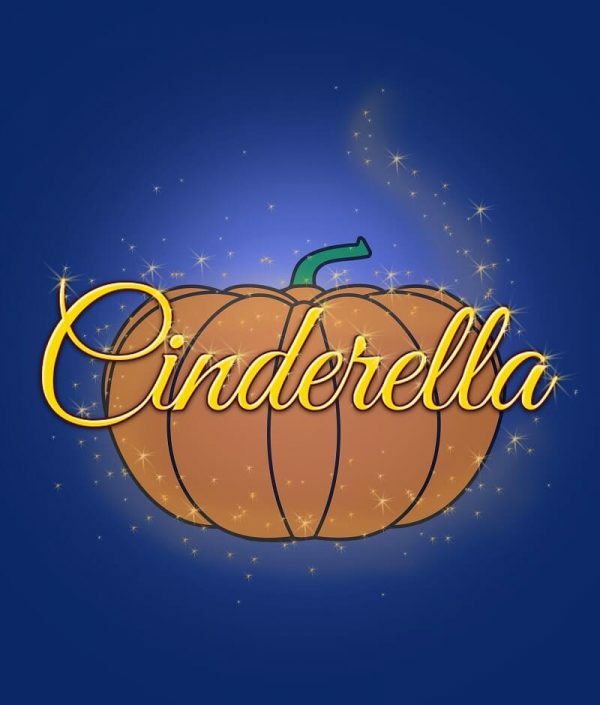 Cinderella lives a life of drudgery, relentlessly bullied by her wicked stepmother and tormented by her ugly stepsisters. Luckily she can always rely on her best friend Buttons, to cheer her up. And when things take an even worse turn for our heroine, her Fairy Godmother rides to the rescue and ensures a happy ending. 11 principals plus 2 minor speaking roles, a dog and a chorus. Uglies enter (SL) draped in jewellery. Buttons follows on laden with boxes and bags of shopping. I’m pooped Bella. Shopping is such hard work. I know Donna, but somebody’s got to do it. (to Cooks) Back to work you lot! Just because you’re working your notice, it doesn’t mean you can skive off! Uglies flash their jewellery at the audience. How do you like the rocks, plebs? Buttons starts to sag under the weight of the shopping. This shopping weighs a ton, where shall I put it? Buttons drops everything on the floor, apart from one bag kept on his arm. Several shoes spill out from one of the bags. Why have you bought so many pairs of shoes? (takes the remaining bag from his arm) What’s in here? That bag contains our recipe for wooing the Prince. Let’s have a look then. (takes out a bottle of toilet cleaner) What’s this? It’s a new and exclusive perfume. They’d have to be. (takes out a bar of ‘Vanish’ soap) What about this? You two never had any to start with. (takes out an aerosol can) And what’s this? That’s a present for Cinderella. Really? (looks at the can) Hang on, this is a pest control spray. Yes, and Cinderella’s the biggest pest we know! (twirls around) What do you think of my new dress, Bella? It fits you like a glove, Donna’. Yes, it sticks out in five places. Whereas I have an hourglass figure. (glances at Bella’s rear) Pity all the sand’s fallen to the bottom. As for me, I have the skin of a new-born baby. (to audience) A baby elephant. Rubbish! Everybody says I have ‘Scandinavian looks’. Buttons! Which one of us is the loveliest? (tongue-in-cheek) How could I possibly choose between two equally gorgeous ladies, like yourselves? There’s only one way to settle this. (pulls Buttons aside) Yes, but who’ll dispose of the body? Nothing as drastic as that! I’ve been secretly working on a beauty-measuring machine. If they could, they’d have to use a micrometer on you. You insert your arm here…(indicates opening 2)…and it gives a score. Your leg in here…(indicates opening 4)…and so on. (pointing to opening 1) What goes in there? (pointing to opening 3) What about here? That’s where you put your bum. With her it won’t make much difference either way. I bet I score higher than you! What’s the highest score ever, Buttons? Well so far I’ve only tried it out on Cinders, and she scored a hundred. I should get that for my beautiful face alone. Less deductions for the rest of you, makes it minus a thousand. (raising a fist) You’ll be minus your teeth in a minute! Yes, I’m sure the machine can take it. It’s been built to the highest specifications. (glancing at Donna) Unlike some people I could mention. We’ll see about that. (to Buttons) Ready Buttons? Ughh! It feels like cold custard. SFX: Bell dings and the machine displays a zero. (checks the display) Your arm scores…nought! There must be something wrong with it. Yes – it’s attached to you. (removes her arm, which is covered in ‘gunge’) Ughh! It’s horrible! I could’ve told you that before you put it in. It’s Genetically-modified, Ubiquitous, Non-edible, Gelatinous, Extract. (silently mouths the letters and exclaims) Gunge!? It’s the latest in cutting-edge biotechnology. (pointing at Bella’s legs) What are all those red marks? That’s where she strikes matches. (raising a fist) I’ll strike you in a minute. SFX: Various sound effects, followed by a loud ripping noise. Ooowerrh! Uggghh! Arrghh! (removes her leg and sees her tights are ripped) My best tights! (kicks the machine) Stupid machine! Careful! You might damage it! (threatens him) It’s not the only thing I’ll damage! Machine displays zero and Donna falls about laughing. Now you’re really going to get it, Buttons! (placating them) Hang on! Hang on! Why don’t you go for the ultimate test? You both put your faces in here…(indicates openings 1)…at the same time and the machine will calculate which one is the prettiest. Uglies insert their faces into the openings. SFX: Crunching, grinding, squelching sounds. (to audience) I don’t like the sound of that. SFX: Lights flash and siren sounds accompanied by smoke and flash effects. Uglies scream and remove their gunge-covered faces. Whoops! I think it needs some minor adjustments. (to audience) See ya later folks. Buttons exits (SR) with the machine, pursued by the Uglies. Dim and Wit enter through the door. (calls) Hello! Anybody at home? ‘Course I am. (points to newspaper) See? ‘Handymen wanted. Apply Hardup Hall’. We might be Batman and Robin. Can you re-wire a house? Then what makes you think you’re handy? We live just around the corner. I once read a book all about joining sheet metal together. Look here, what do you want? We’re answering your advert. (shows Baron the ad) See? ‘Handymen wanted’. My wife must’ve put this in. But she’s not here, so I’ll have to interview you instead. (aside to Dim) Leave this to me. You wife’s after handymen, right? Well we’re men aren’t we? And we have hands, don’t we? Then that makes us ‘handy-men’ doesn’t it? I love the way you make things sound so simple. Yes, but I’m not taking the blame for you. My wife will pay you what you’re worth. (to Dim) I’m sure you can impress her, if you put your mind to it. Yes! Remember the time you used your head, to stop that runaway ghost-train? I tripped over and got it stuck in the track! It made a big impression on the fairground owner. It made a big impression on my head! It was the best use of your brains, I’ve ever seen. I spent six months in a coma! And I never got paid. You should’ve taken out an accident policy. I did, but they wouldn’t pay out. They said it didn’t cover stopping runaway ghost-trains, with my head. Never mind, this handymen’s job is going to be right up our street. That’ll save us some money then. Well if it’s up our street, we can walk there and save on bus fares. Dim and Wit exit (SL) chased by Max. Hiya kids! (audience respond) That was a close call back there. For lazy layabouts, those two can’t half run. They’ve put my Beauty Machine patent back years. I wouldn’t say they were ugly, but the last time they laid on a beach the tide went out and never came back. Music cue 9: Dim and Wit re-enter (SL) still being chased by Max. Max stops and goes over to Buttons. Well done Max. It looks like you’ve nabbed a couple of burglars. We’re not burglars, we’re handymen! (shows Buttons the ad) Look! It was supposed to say ‘handyman’ not ‘handymen’. (moves DS to audience) I was hoping nobody would apply, so I’d get the job instead. I’d better try and get rid of them. (to Dim & Wit) I’m afraid you’ve got the wrong place. Hardup Hall is in the next county. But it says ‘Hardup Hall’ on the board, outside. The sign-writer was dyslexic. This is Harrod Hall. (to Wit) Maybe we can get a job here instead. I’ve always fancied working at Harrods. You wouldn’t like working here. By the ghost of Baron Frankenstein. Yes. He had a laboratory in the dungeons, where he built a horrible monster out of spare body parts. But it turned on him and ripped his head off. And ever since, the Baron’s headless ghost can be seen wandering the castle, looking for its missing bonce. The locals even made the legend into a song. Listen. Music cue 10: Buttons and Chorus. (when music starts, Chorus enter from both sides dressed as ghosts or ghouls. Dim & Wit moves aside and cling to each other in fright) After song ends…Chorus exit. (to Wit) Let’s get out of here! Give over! It’s probably just servants in fancy-dress. Buttons enters (SR) dressed in a ghost outfit. (shows Dim the sheet) Look here! Dim turns and stares at Buttons. (realises the sheet has gone) Trick or treat? (rolling his sleeves up) I’ll give you trick or treat! How did you know I wasn’t a real ghost? (points out ‘N.H.S’ letters printed on sheet) ‘Property of N.H.S’. Neither did that lot…(indicates audience)…by the sounds of it. SFX: Heavy footsteps accompanied by moaning. (sceptical) It sounds a bit heavy for a ghost. Maybe he’s put on weight. Grimelda enters (SL) flanked by the dishevelled Uglies. (to audience) They have that effect on everybody. (screeches) Just look at us, Buttons! You and your stupid machine! All great inventions experience some teething problems. You’ll be experiencing teething problems when we get hold of you! Uglies move forward, but stop when Grimelda spots Dim and Wit. Oh…er…they’re travelling salesmen. (pushing them off) And they were just leaving. …Taking no for an answer. (to Grimelda) They’re all the same these salesmen. (to Dim & Wit) I suggest you try elsewhere. All right! Just tell us the way to Hardup Hall and we’ll be on our way. (puzzled) But this is Hardup Hall. (indicates Buttons) He told us it was in the next county! (gives Buttons the evil-eye) I wonder? (to Dim & Wit) What do you want? I only wanted one handyman. I’m not paying for two. You’re hired. (to Buttons) And you’re fired! But I’m in the Dumps! I would be, if I’d just been sacked. (to audience) Oh yes, it is! (encouraging audience) Oh no, it isn’t! (to Buttons) According to your union, I only need to give you one week’s notice. I knew I should’ve stayed in Equity. (to Buttons) You can work your notice and then get out. Buttons hangs his head and begins to trudge off (SR) encouraging audience to sympathise with him as he exits. (to Dim & Wit) Now then, gentlemen. What are you like at finding things? (tapping his nose) I have a nose like a bloodhound. I don’t care what you look like, just as long as you can find what I’m after. My husband put the castle deeds somewhere for safekeeping, and now he can’t remember where. (indicating Dim) His is, I’m afraid. Find the deeds before the day is out, and I’ll double your wages. Fail, and you’ll be sacked without a penny to come! (to Uglies) Come girls. (to Dim) Right Dim, you look under the beds and I’ll look in the wardrobes. (scared) Can’t you look under the beds? I knew you shouldn’t have watched ‘Monsters Inc’ last night. I’m glad I did. I went straight out and bought a divan. I’d like to see any monsters squeeze underneath that. I’d like to see an intelligent thought squeeze into your head. All right, I’ll look under the beds and you look in the wardrobes. I once saw this film called ‘The Lion The Witch And The Wardrobe’. I can see you’re going to be a big help. I don’t mind looking up the chimneys. I can’t see anything big and hairy hiding up there. Unless Santa’s got stuck. (shoving him SL) Get going, before I stuff you up a chimney! All right, keep your hair on! (to audience) She can’t sack me twice, now can she? (opens door and Charming and Dandini enter) Prince Charming! SFX: Sound of clattering feet. Uglies run on (SL) followed by Grimelda. The Uglies fight for pole position before curtsying in front of the Prince. Hang on Donna…(pointing at audience)…they didn’t do it. Prols, the lot of them. (to audience) On your feet! It’s not every day you get to meet royalty. (leads them in greeting routine) And don’t forget next time. Your highness, allow me to introduce my two beautiful daughters. Certainly. (looks past Uglies) Where are they? As you can see, they are ladies of high refinement. (grabs Charming) Where have you been all my life? Well for most of it he wasn’t born. (shoves Bella aside) My name’s Donna! I’m the baby of the family! (shoves Donna aside) I think your nappy needs changing! (to Prince) Let’s get out of here, quick! ‘Dandini’! What kind of a name is that? He sounds like an escapologist? I feel like escaping now that I’ve met you two. You can push off anytime you like. We’re only interested in the Prince. Don’t you think you’re a bit too old for him? That’s her dress size. (shoves Bella aside and grabs Charming) I must warn you, I am rather impulsive. Okay Princey-poos, which one of us is it going to be? …Make your mind up, we haven’t got all day! Give the Prince time, girls. It can’t be easy choosing between two such lovelies. (dryly) He’s spoilt for choice. (aside to Charming) It’s make your mind up time your highness. You can’t be serious, Dandini! Deadly serious. Now are you going to run first, or shall I? (to Dandini) Just hand out the invites to the royal ball. It’s been arranged in order for the Prince to pick his bride-to-be. (to Prince) Can’t you just pick one of us now? What about a ticket for Cinders? He means ‘Cinderella’ your highness. But you wouldn’t be interested in her. (leads audience) Oh yes, he would! I will be the judge of that. (to Buttons) Bring her here. (to Uglies) Don’t worry girls, the Prince won’t be interested in that scruffy little minx. Of course not. Why it’s laughable! I thought we were playing a rhyming game. Cupid. (sheepish) Sorry your highness, I got carried away. I can’t meet the Prince looking like this, Buttons! I’m sure he won’t mind, Cinders. Cinderella straightens her clothes and curtsies. Forgive my appearance your highness, only I’ve just been cleaning out a fireplace. There’s no need to apologise. I like girls who aren’t afraid of hard work. (grabs Charming’s arm) Personally, I can’t get enough of it. (grabs Charming’s other arm) Me neither. You two never lift a finger! (raises a fist) How would you like me to lift a whole bunch of them? Music cue 11: Max enters and fusses around charming. Who let the mutt in? (to Prince) I think he likes you. I do apologise your highness. I’ll have him put down first thing in the morning. (shocked) No, no I love dogs! That’s amazing! You must bring him with you to the royal ball. Yes. (hands her a ticket) Here is your ticket. (delighted) Thank you, your highness! (sneers) Don’t flatter yourself, he’s only interested in your freaky dog. (waves to audience) Goodbye everyone! See you at the ball. Charming and Dandini exit through door. (calling after him) Bye Princey-poos! We’ll try and make ourselves look even more gorgeous than we already are! And the bladder by the looks of it. I’m going to need a whole new outfit. Don’t tell me you’ve wet yourself again? (ignores Donna) And a new handbag and shoes. I want something expensive and sparkly. You can have whatever you want girls. The Prince is sure to pick me. (laughs) Don’t be ridiculous, Buttons. He wouldn’t look twice at her. Why not? She’s the prettiest one here. Oh, you are sweet Buttons. (mocking) Oh, you are sweet Buttons. Anybody would think he was made of chocolate. (turn to each other) Chocolate Buttons! I’m sure there’ll be much prettier girls than me at the ball, Buttons. (preening) You’d better believe it sister! You won’t be going to the ball, Cinderella. Max stalks around the Uglies, growling. Help! It’s foaming at the mouth! Buttons! Take that mutt away and book him into the vets! Max stops and holds his paws over his vunerables. It’s all right Max, you can go with Buttons. (firmly) I’m going to the ball, and nothing will stop me. I’d check the small print on your ticket if I were you. (reads ticket) ‘Evening dress must be worn by all guests’. Thank goodness I still have that beautiful dress father bought me, for my last birthday. That ugly old thing? We gave it away to a charity shop ages ago, didn’t we Bella? Yes, we needed more room for all our designer dresses. You had no right to give away my dress! That’s not a very charitable attitude. But it was a present from father! It would only have gone to waste. You never get invited anywhere. I’ve been invited to the royal ball haven’t I? Oh yes, so you have. Pity you have nothing to wear. But I can’t go to the royal party dressed in rags. Uglies laugh and Cinderella cries. (putting a hand on her shoulder) Don’t cry Cinders, we wouldn’t dream of leaving you here on your own. Yes. As soon as the Prince marries one of my daughters, you can join us at the palace. (to Uglies) Right girls? Yes, mumsy! I’m sure we’ll find her plenty of work to do. (pushes Cinders aside) Now get on with your chores! Grimelda and Uglies exit laughing (SL) lights Dim. Music cue 13: Cinderella. After song ends…Cinderella sits and sobs. Music cue 14: Fairy Godmother enters (SR) A spotlight follows her. Why are you crying, Cinders? (doesn’t look up) It’s because I can’t go to the royal ball. (handing her a handkerchief) Here, dry your eyes. (takes the handkerchief and looks up) Who are you? Your Fairy Godmother. (waves her wand and lights come back up) That’s better. I don’t go in for the dramatic spotlight entrance myself, but they will insist on tradition. The Grand Council of Elves and Fairies of course. Then let me explain. At birth, everybody is allocated a Fairy Godmother to watch over them and to help them in times of need. Well right now I need all the help I can get. Tell me Cinders. What is your dearest wish? To go to the royal ball of course. Didn’t you get a ticket? Yes, but Bella and Donna tore it up. Thank you. Oh, but I have no dress to wear. Only these horrible rags. A Small Fairy enters (SR) with a ballgown. She hands it to Cinders and exits. Now off you go to the ball. (looking at her shoes) Oh, no! Small Fairy enters (SR) with glass slippers – hands them to Cinders and exits. They’re gorgeous! I only hope they fit. But you don’t know my shoe-size. I know everything about you, Cinders. I still can’t go, I’m afraid. Let me see now. You have your ticket? Then I can’t think what else you need. (to audience) Can you think of anything else Cinders needs, boys and girls? (audience respond) What? Bus fare? Sat-nav? A coach? Of course! How forgetful of me. My stepmother and sisters took the only carriage. You don’t happen to have a pumpkin on you? Music cue 17: A horseless coach (see properties) enters (SL) or whichever side is practical. Magic coaches don’t need horses to pull them. Besides, health and safety won’t allow animals on stage. How can I ever thank you Fairy Godmother? By going to the ball. Unless there’s something else I’ve overlooked? That’s much better. Everything fits I take it? Off you go then. Oh, I almost forgot. At the stroke of the midnight the magic will be undone, and everything will revert to its former state. So, you must leave the ball before then.